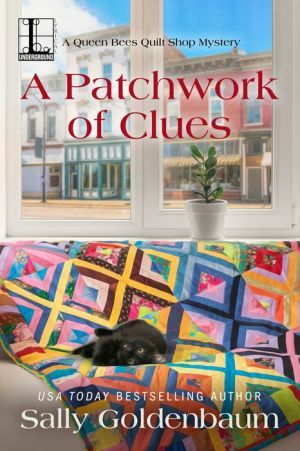 Small-town quilters look for a killer's pattern in this delightful new series by the national bestselling author of the Seaside Knitters mysteries . . .
On her morning jog, Portia Paltrow comes upon the dead body of antiques store owner and college professor Owen Hill, sprawled across the back doorstep of Selma Parker's fabric and quilt shop on Elderberry Road. The site of their Saturday morning quilting bee just became a crime scene. Violent crime is rare in the charming village of Crestwood, Kansas, and rumors are soon circulating of a burglary gone wrong. But who would rob a quilt shop? No, Owen Hill has been murdered. Selma and her assistant manager Susan are understandably at loose ends over the crime. So while the tightly knit covey of quilters—who range from a new mother to a wise octogenarian—work together on a Crystal Pattern quilt for Selma's store's anniversary, they also get busy stitching together a patchwork of clues. But they'd better work fast—before a crafty killer bolts . . .